The client approached NOVO to help develop a plan and define the semi-automated test equipment (ATE) for quality control testing of a new insulin pump design for diabetic patients. This part of the program was behind, so there was significant time pressure to deliver and qualify the equipment. The test requirements addressed performance and safety and regulatory compliance issues. Tests were performed at intermediate assembly stages and at end-of-line. 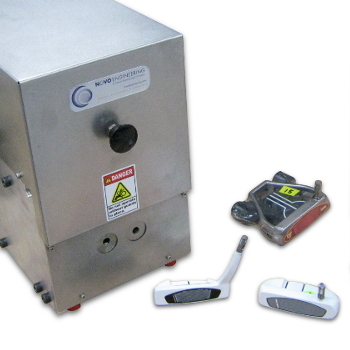 The elements of the device to be tested and/or calibrated included the occlusion sensor, temperature sensor, volume sensor, magnetic sensor, piezo buzzer, status LEDs, and motor drive. 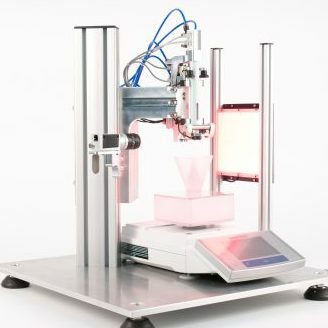 NOVO worked from the device specification to develop the corresponding test requirements, specifications, and failure limits. Some of the inherent challenges involved designing equipment and test methods that were reliable and repeatable, and that isolated the influence of the operator in loading and utilizing the equipment, thus reducing the variability of the data collected. In the first station, precise motions and forces had to be applied to tiny mechanical features in the device with limited physical space and access. 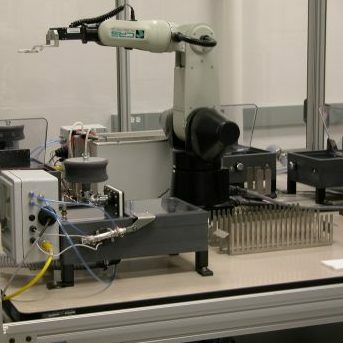 Because the unit’s internal battery was disconnected, a precise means to make an automated power connection to small test pads on the PCB was required. In another station, engineers discovered that testing of the piezo buzzer, which was buried beneath plastic, was to occur on a noisy factory floor, making testing for sound pressure level and sound quality difficult. Furthermore, the results had to be correlated with the IEC testing methodology, which dictated testing in an open air environment at 1m. Also at this station, the light from the LED indicator needed to pass through a plastic case, rendering it highly variable. Despite multiple obstacles, the semi-automated test euipment was delivered and installed—including software—on time at the client’s facility. As part of a strategy to meet schedule, the systems engineering solution incorporated NI TestStand and LabView software and DAQ hardware with custom electronics and industrial controls. 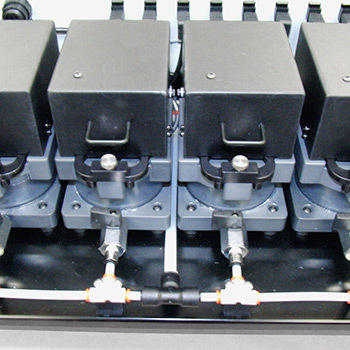 Precision articulating mechanisms were designed and built in house to engage DUT mechanisms, apply motions and loads, and make electrical connections. To resolve the problem of audio testing on a noisy factory floor, NOVO engineers used a semi-anechoic enclosure, adjusted the sensor location, and performed extensive correlation and signal processing. Extensive correlation was also implemented to successfully test the LED light. 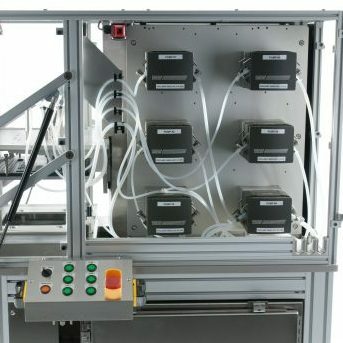 Three unique and separate semi-automated test stations were designed, fabricated, qualified, and installed within four months, meeting the client’s schedule and keeping their manufacturing transition plan on track.